The ketogenic diet is an interesting thing. By substituting fat in your diet for a good portion of your protein and carbs, pretty effortless weight loss is possible. The catch is that there are a lot of rigid rules, rules that must be followed in order to lose any weight. 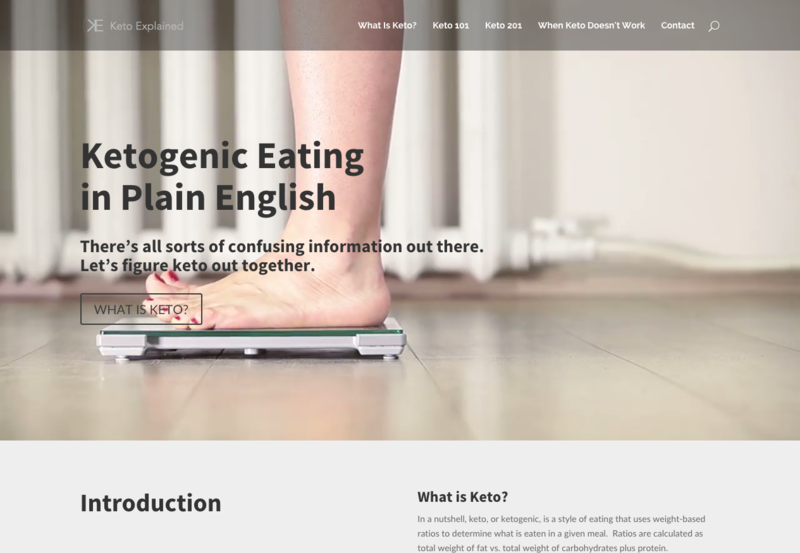 The intent of this site was to create an online resource where people could find out what keto is, how to do it, and how to solve problems that come up along the way. There is a lot of bad diet/health information out there, and a lot of people who want to charge for even the most basic information. 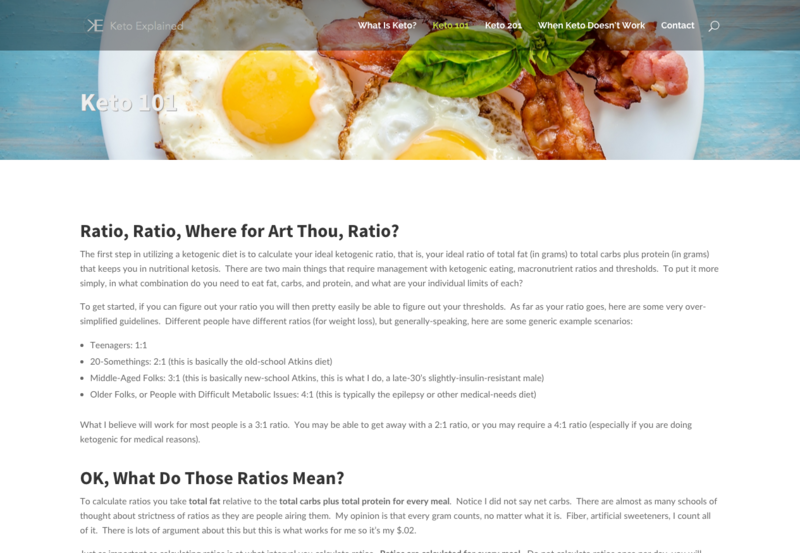 This site was intended to be a complete resource for all things keto that people didn’t have to pay for. 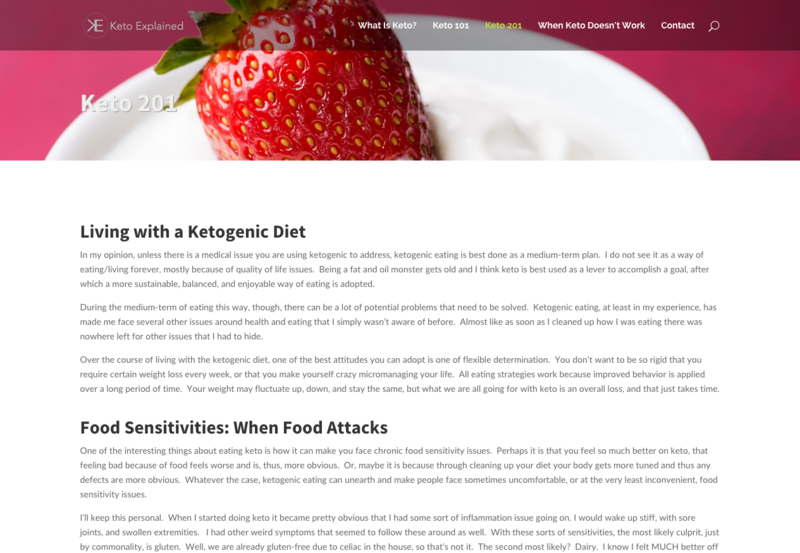 The site breaks down keto info into the basics, getting started (keto 101), keeping going and getting better (keto 201), and even tips and info to figure out whether keto simply won’t work for you. This site is being moved to the “past projects” section for a couple of reasons. The most important one is that the keto diet is not really sustainable long-term. For all of the weight loss one can achieve, at least for some people, there are some pretty steep costs. As such, I’m not going to continue building the site at all. It will just remain the resource that it is.